March 5, 2009 -- The secrets of a vanished civilization await visitors to the ASU Museum beginning Saturday, March 14, at 1 p.m. with the opening of the new exhibit, “The Mystery of the Mayan Medallion.” Visitors will enter the ancient and intriguing world of Palenque, Mexico, where the Mayan empire prospered for thousands of years. 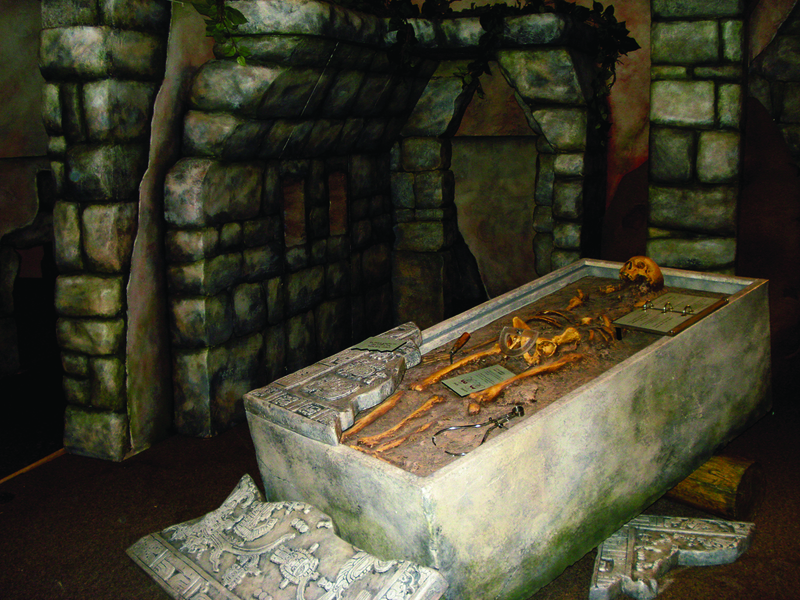 Visitors can seek out the secrets of an ancient tomb and searc h for a valuable artifact while exploring concepts in math, science, and history in a unique setting. Join the museum staff for fun, exploration, and refreshments at the opening celebration, which is free and open to the public. “The Mystery of the Mayan Medallion” makes its way to Jonesboro thanks to the Arkansas Discovery Network, a network of seven museum partners funded by the Donald W. Reynolds Foundation. The exhibit runs through Sunday, June 14. In this immersive exhibit, ASU Museum visitors and members are transported to Palenque, where an archaeological team has mysteriously disappeared from a dig site while investigating rumors of a priceless jade medallion buried in the ruins. Parents and children can follow the clues the team left behind to locate the precious medallion. 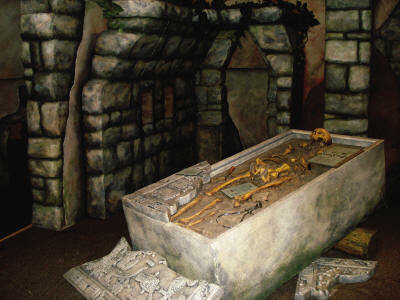 But don’t forget to heed the warning signs to avoid the fate of the vanished archeologists. “The Mystery of the Mayan Medallion” was developed by the Arkansas Discovery Network specifically for Arkansas and the network’s partner museums. "This exhibit is a wonderful hands-on experience for both children and adults,” said Lenore Shoults, assistant director for the ASU Museum. For more information, call Lenore Shoults at the ASU Museum at (870) 972-2074, or visit http://museum.astate.edu.